After re-watching the Bills/Panthers game, my first thought is that it’s a very frustrating loss for the Bills. The defense easily played well enough to win. But as we have seen in both the preseason and in the win last week against the Jets, the offense needs both improvement and consistency. 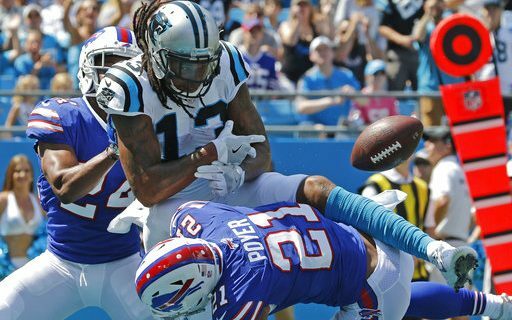 Carolina has the play-makers to put a number of points on the board and with their very tall receiver corps they create difficult match-ups. The Bills being able to hold the Panthers to just three field goals and nine total points is a remarkable feat. How often do you see Cam Newton get sacked six times in a game? Very seldom! The Bills pass rush was excellent and was consistently able to put pressure on Newton. Still there is room for improvement as the Panthers wide receivers caught a total of 13 passes, many for mid-sized gains in the middle of the field that kept drives alive. Going forward the Bills coverage has to improve in those situations. The run defense was superb. Carolina had a total of 79 yards rushing and a 2.8 yards per carry average. That included Newton gaining 27 yards on five rushes most of which were on scrambles. The Panthers first round draft choice Christian McCaffrey was held to just 10 yards on eight carries. He was never given the opportunity to get to the open field where he can be so dangerous. Kudo’s to the Bills defensive staff for putting together a very solid defensive game plan. Anytime a defense plays that good, the team deserves to win. The Bills offense yesterday was beyond poor. There was no run game and until their final drive, no pass game. You can’t win games with that. What’s the problem? Its starts with the quarterback position and the passing game as a whole. Bills opponents don’t respect their pass game and game plan to stop the run. They know that if you keep Taylor in the pocket he can struggle to go through a progression and find an open receiver. Taylor is best when he can throw on the run and make plays with his feet. Limit that and stop the run and you have a chance to beat Buffalo every week. That’s exactly what happened yesterday. Taylor had some good throws in that final drive but Carolina was not playing tight coverage. I don’t recall him making a tight window throw all game. On his final pass the winning TD was there but he threw the ball behind the receiver instead of leading him. If it has proper ball placement on that throw, the Bills win. In future games, look for the Bills opponents to try and do the same thing as Carolina by keeping Taylor in the pocket and limit the Bills run game. Do that and the bad guys win! A few weeks ago I wrote that while many Bills fans (myself included) already know what Taylor can and can’t do, the Bills new coaching staff hasn’t been around him that long. It won’t take much longer for them to figure him out. They have a promising rookie in Nate Peterman who has the mental traits and talent to be a winning NFL QB. While the ideal situation is to let him sit and learn, he may be the one who gives the Bills a better chance to win this season. I hope the Bills staff comes to that same conclusion soon. 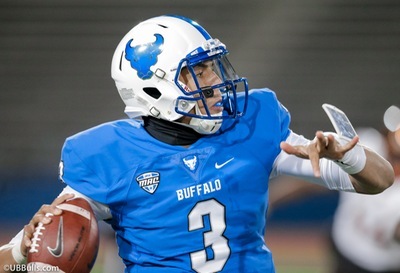 For more analysis from Greg, visit his Author’s Page on Buffalo Sports Page. Gabriel has spent most of his adult life as an evaluator for various NFL clubs. He started his career in 1991 working for the Buffalo Bills as a part time scout under dormer Bills Director of Player Personnel Norm Pollom. He left the Bills in June 1984 to become the Great Lakes area scout for National Football Scouting. Following the 1984 season, Gabriel joined the New York Giants as their Midwest area scout and was promoted to Director of Player Development in 1996. The Giants went to three Super Bowls and won two during Gabriel’s time with the club. Following the Giants appearance versus the Baltimore Ravens in Super Bowl XXXV, Greg became Director of College Scouting for the Chicago Bears under General Manager Jerry Angelo. He held that position until June of 2010. During his time with Chicago, the Bears won three Division titles and the 2006 NFC Championship. In his nine Drafts with the Bears, the team drafted 12 future Pro Bowl performers such perennial Pro Bowler Matt Forte, Tommie Harris, Devin Hester, Lance Briggs and Charles Tillman. In the 2012 – 2013 season, Gabriel was a consultant for the Philadelphia Eagles Scouting Department and has since done some small scouting roles for various NFL clubs. Since leaving the NFL Gabriel has been a contributor for the National Football Post, the Bleacher Report and more recently Pro Football Weekly. He also is both a writer and contributor for WSCR (670the Score) in Chicago. The last three years he has authored the Pro Football Weekly Draft Guide. Gabriel grew up in Amherst and is a 1974 graduate of Canisius College where he was a member of the football team. He and his wife Robin currently resides in the Chicago area.